There are ups and downs to having kids, but the endless laughs they give us is enough for anyone to love them, no matter what they get into. Because they really don’t know any better, kids get away with pretty much anything. There are moments that prove that kids pull off the most unexpected things that will make you burst into laughter. I say that because, at one point, we were all kids. Wow, that escalated real quick. 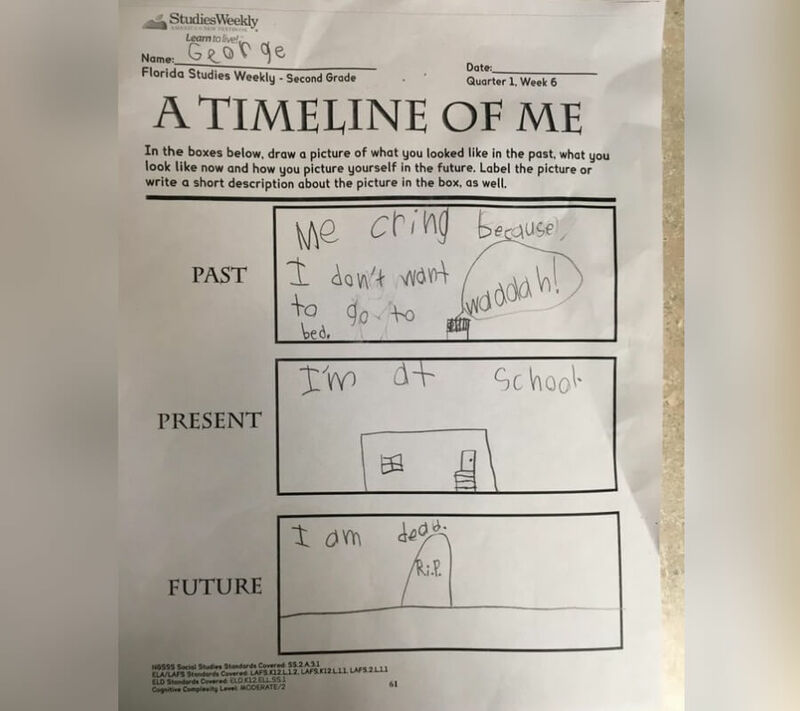 It didn’t stipulate how far into the future this kid is looking, but at least George has a sense of reality. He’s not wrong either, because someday, we get old and die off. However, if this were a documentary, it would fall under the “Film Noir” style. I’m sure every budding photographer is looking at this picture as a warning to what that future might actually look like. It makes you wonder why photographers even take these photos. 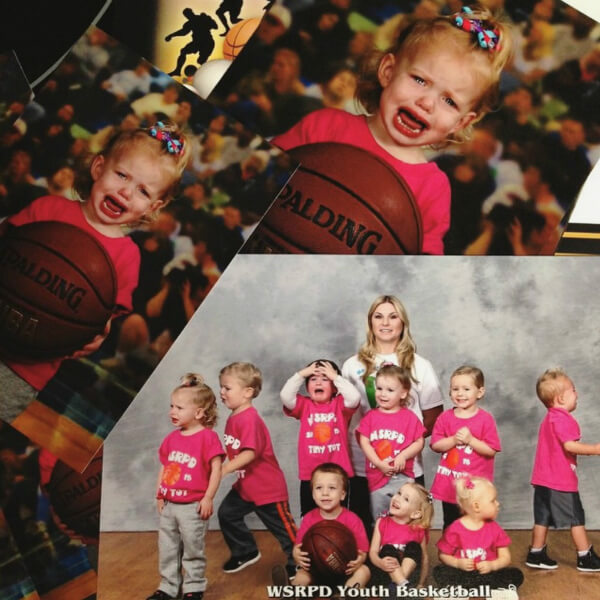 Especially when the majority of kids are not “in the mood” to have their pictures taken. Okay, that’s how Spiderman sits. It could have been a dramatic effect if he was hanging upside down off a branch, but mom and dad won’t be happy with that. 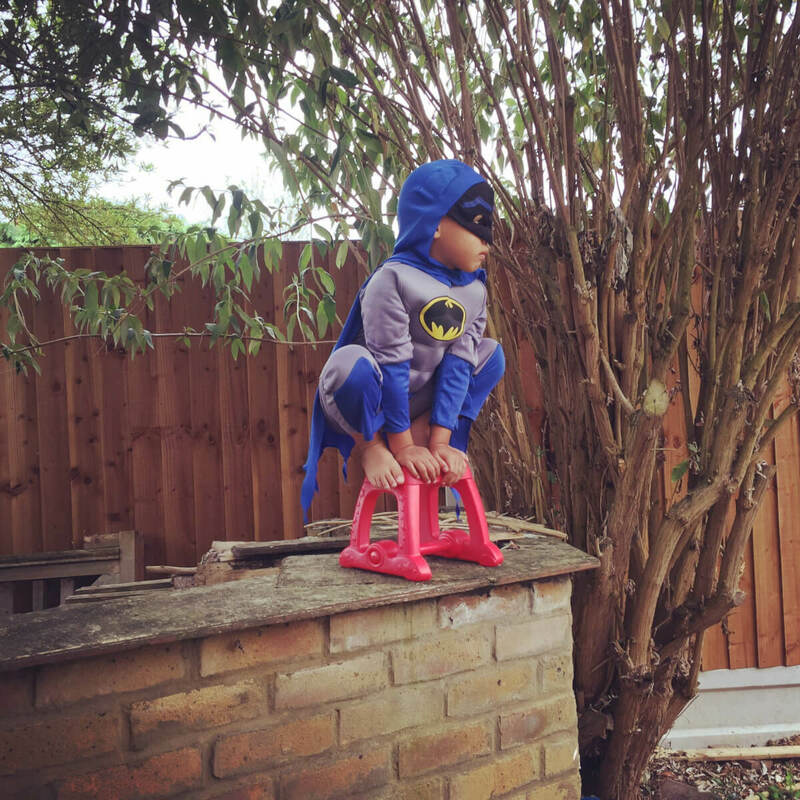 I’m all for kids dressing up as their favorite superheroes. All this kid needs is a Bat Signal! 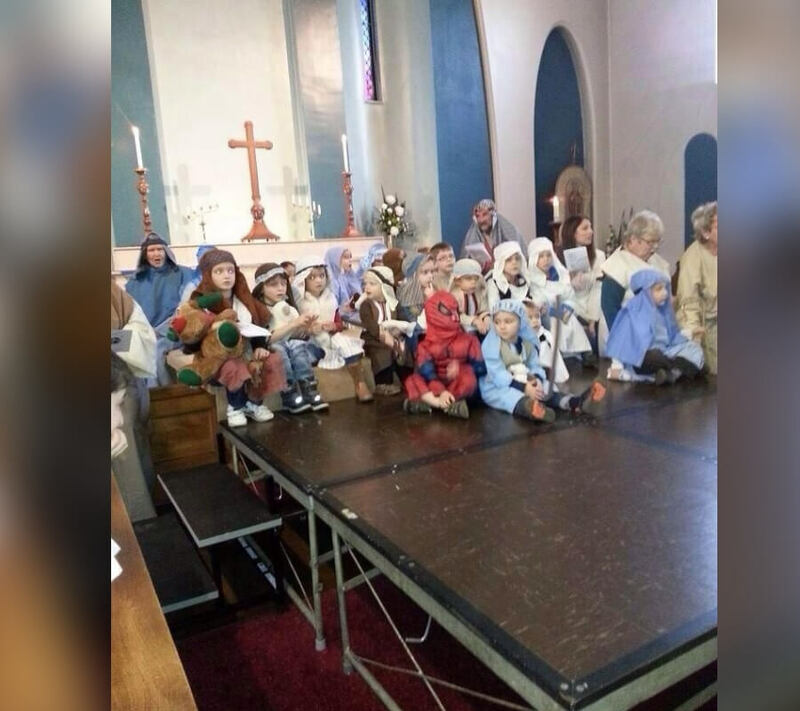 Find out what happens shortly when your kid dresses up as their favorite superhero at the Christmas pagent. You got it down pat, my dude! 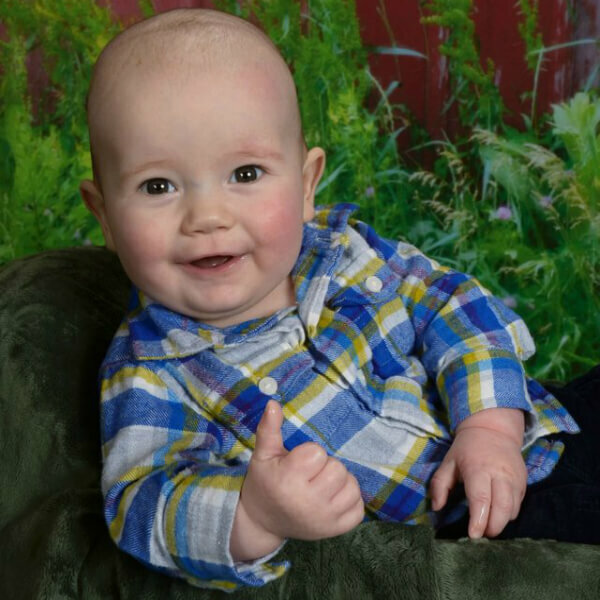 I would entirely vote for him if he was old enough to be a politician. I mean, he’s a lot more mature than the people we’ve got running our country as it is. But, I won’t be surprised if this becomes a popular meme. This kid has his priorities straightened out. Some of you will assume he’s running away because of his hair, but I’m jealous of him. He has such a chill cat that lets him carry them around like that. To all the hair haters, I’m sorry about your male patterned baldness. If Santa can’t get his run done, someone has to do it. Spiderman is going to be a huge hit for the holiday season, especially when the Grinch arrives. I love this kid for being bold and different. We all need different kinds of heroes, and Spiderman is the perfect example. 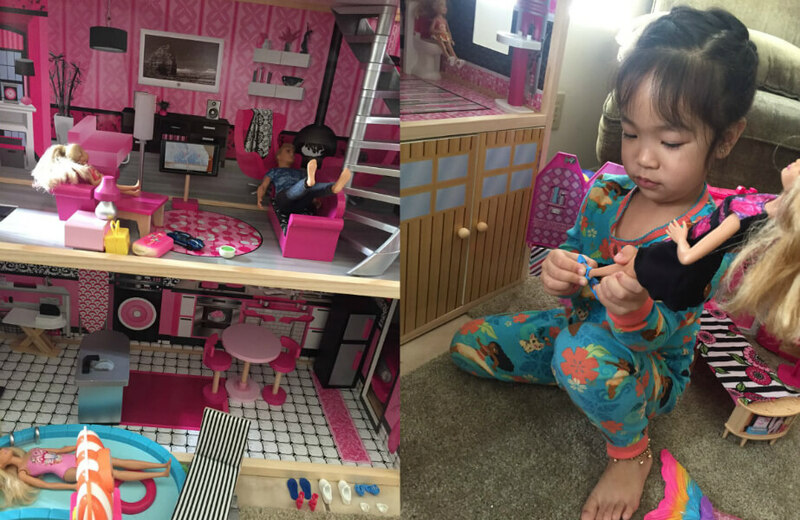 Read ahead to see why most kids have house rules for their Barbie dolls. Some kids know how to get their parent’s undivided attention. 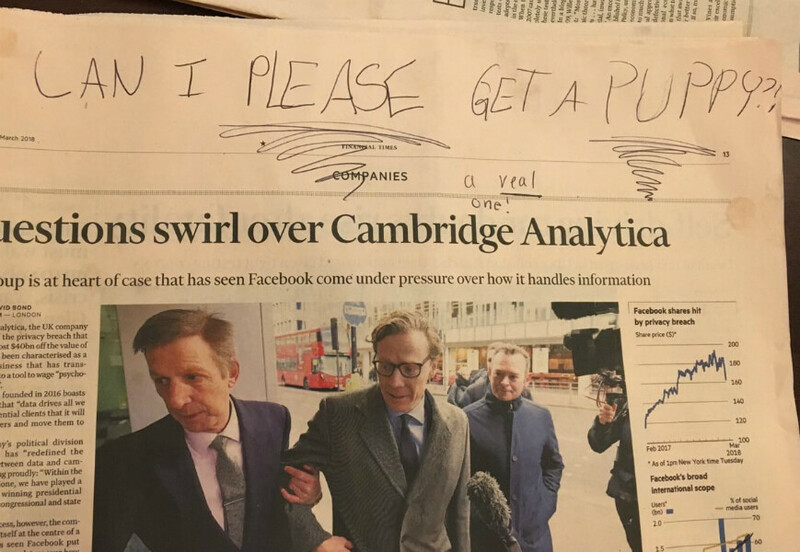 All you have to do is attack your parent’s political agenda by writing nonsense on their morning paper. She even made sure she covered it with a small disclaimer on the bottom. Talk about subliminal advertising at its finest right here. The guy in the red should take the advice. It warms my heart to see the kid looking up to the man so expectantly. 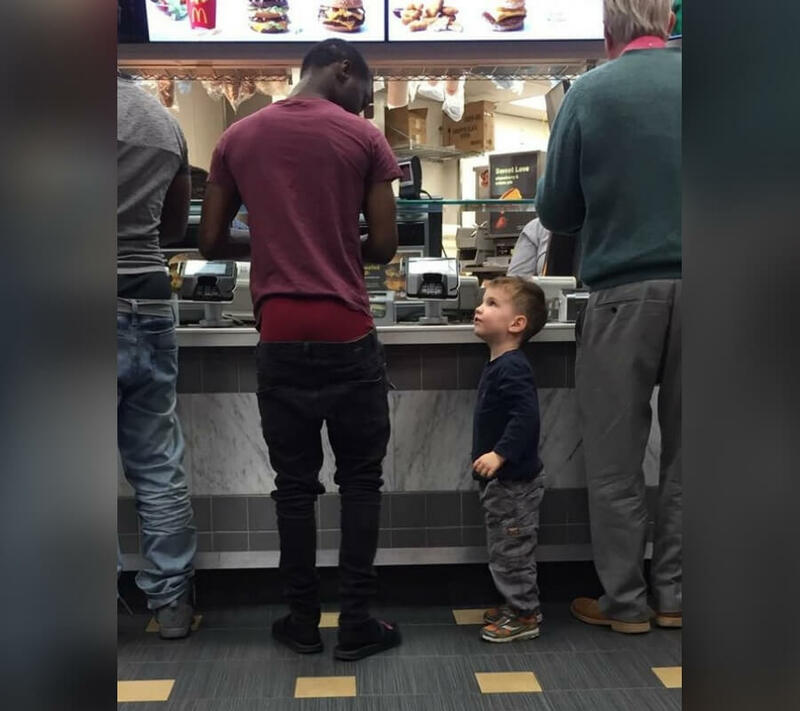 Only waiting for him to pull up his pants and thank the little guy. If your pants are falling and you can afford McDonald’s, you can afford a belt. It’s pretty reasonable to expect people to take off their shoes once they’re indoors. In my house, everyone leaves their shoes at the entrance by the door. I’d be furious if anyone walked into my place without taking off their shoes on my clean floors. It sounds reasonable to me, so this girl is doing nothing wrong. Coming up, another dollhouse, but it’s the alternate reality of Jurassic Park. 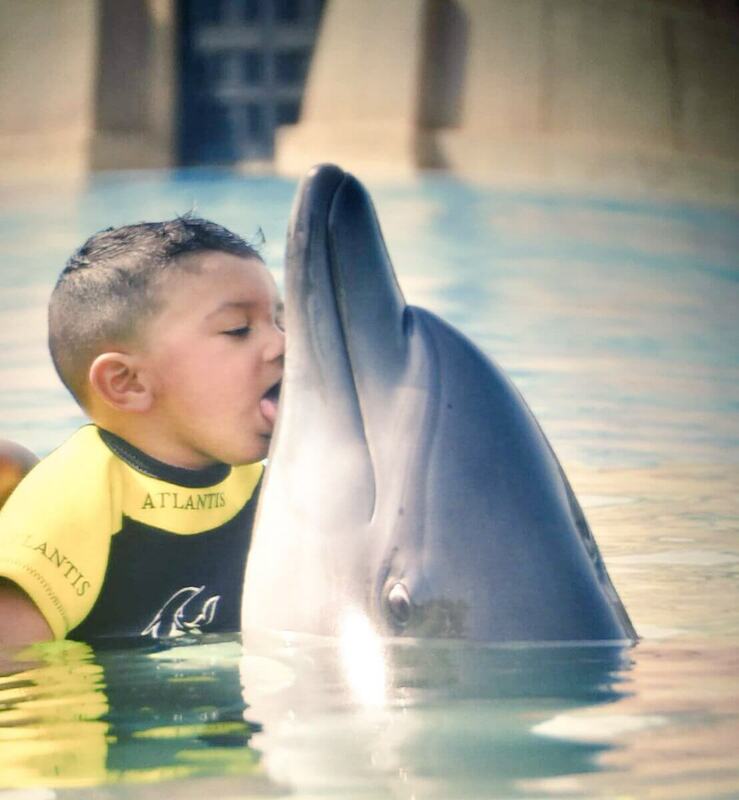 You can’t help but think that the dolphin is all like “This is awkward, man.” The poor guy is so uncomfortable, and they’re wondering if they should lick the guy back or not. Yeah, sorry, but I wouldn’t want to be reminded that my first kiss wasn’t with a human. Yeah, this is a huge mess waiting to happen. That filthy carpet will turn to mud the second the water splashes all over the place. Oh, and don’t forget about the electrical cords too. 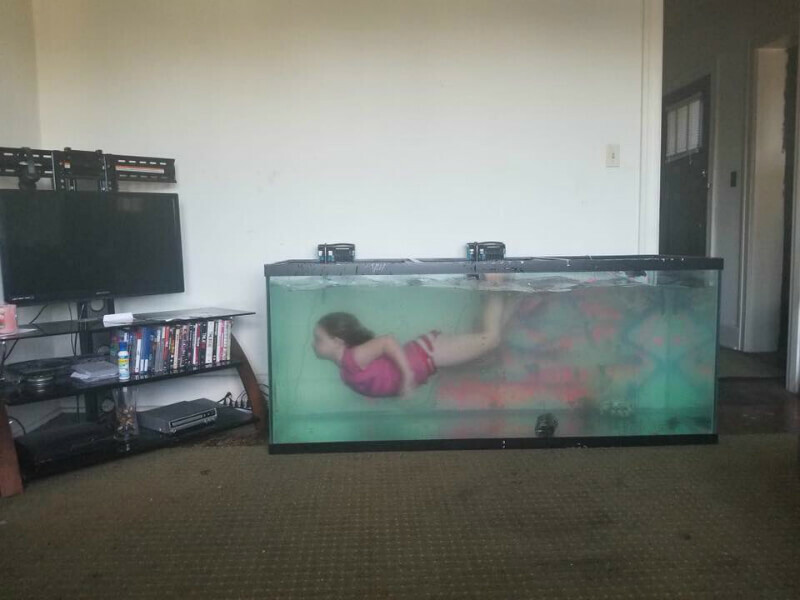 All she wanted was a pool, and the struggle of not having one is real. Now, this has to be an alternate reality of Jurassic Park. 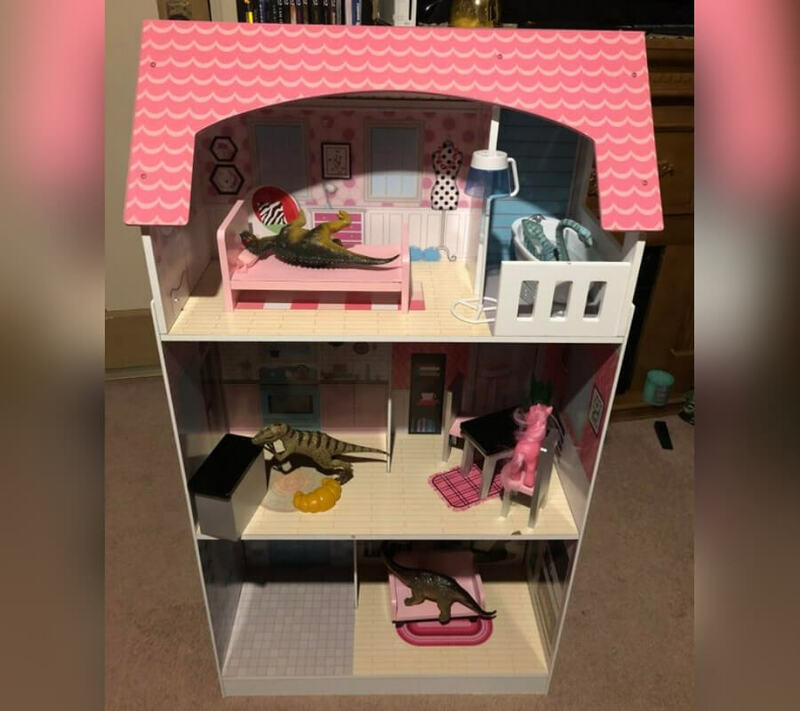 Instead of dinosaurs running around on an island, they’re stuck in this dollhouse. But, if they ever grow into real dinosaurs, that dollhouse is going down like the Berlin Wall. But, this girl is awesome for liking dinos. Read ahead to see why some kids aren’t all for having another sibling in the family. That’s clever and funny. It’s t-shirt material and a future marketing designer in the making. 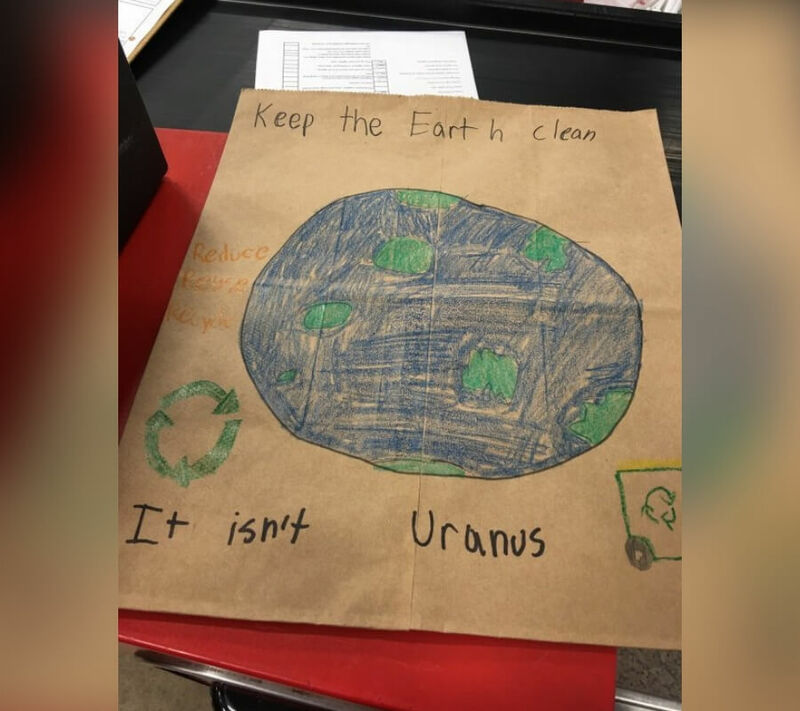 I love this kid for using puns and having a great sense of humor with our planet. But, the important thing here is that you have to keep Uranus clean. Nobody wants it to get dirty. Okay, stop what you’re doing. I don’t care what it is, but run. Run far away right now. It’s the beginning of the horror, so GET OUT. The giraffe’s face says it all, especially after seeing the horrors in person. 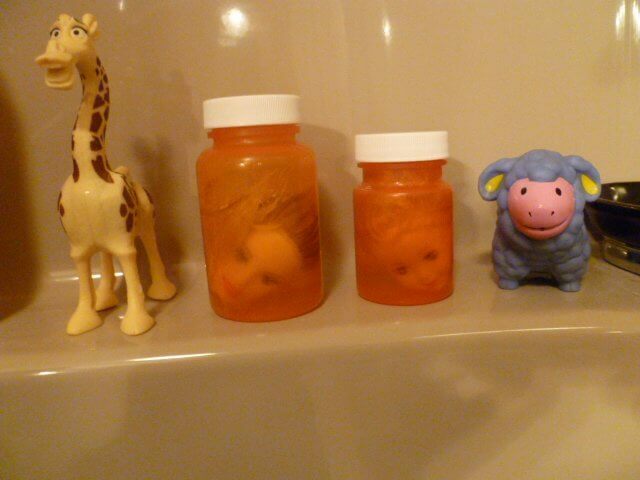 Some things can never be unseen in the bathroom. The face says it all. “I’m sorry mom, but this is silly. I’m leaving, thanks for making a second child when I didn’t want another sibling. I’ll take it from here.” Anyone else notices the car keys? 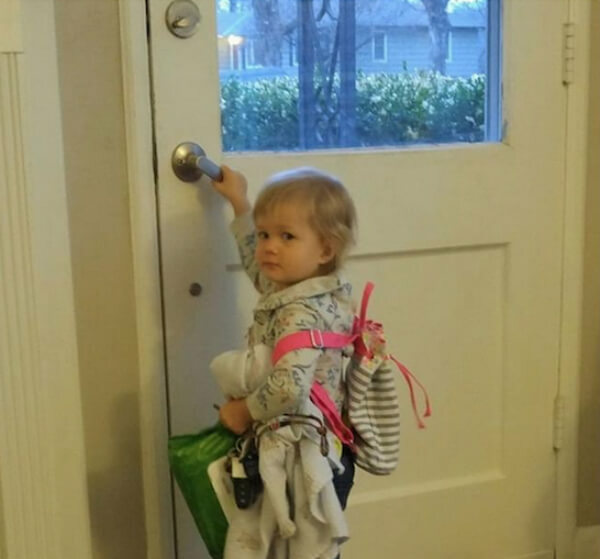 She’s serious about having another sibling in the house, so it’s off to grandma’s house. The next one ahead will have you convinced that your kid knows how to use Google translator for their Christmas list. Orange You Glad It’s Not An Apple? 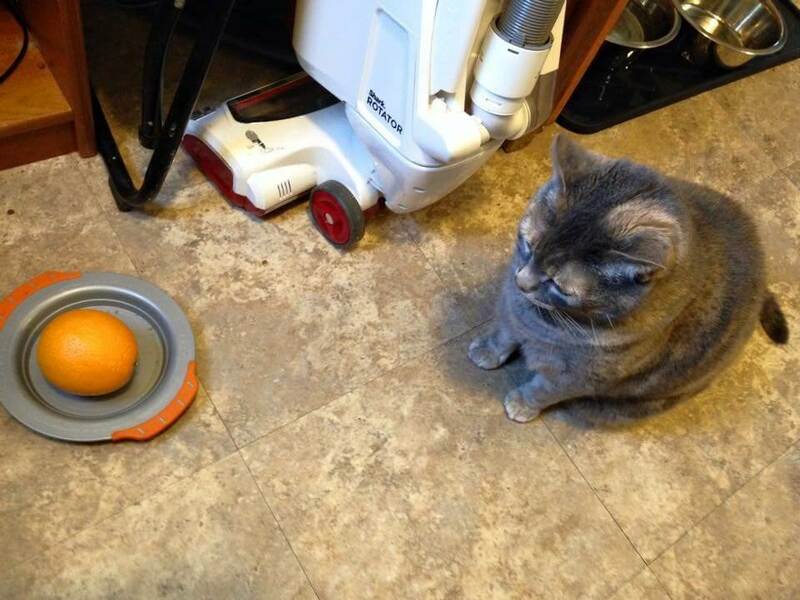 The cat is contemplating whose toes to bite — the toddler or the one who told the toddler to feed the cat an orange. The cat’s disappointment is enough for them to leave behind an unpleasant surprise. His epic parents helped him make that. It’s well done too, with the microphone in his hand, he’s ready to let all of the beans loose from the ying-yang. It would be legendary if his grandparents dressed up too. With a cane and a pair of sunglasses, they could be an old fart. 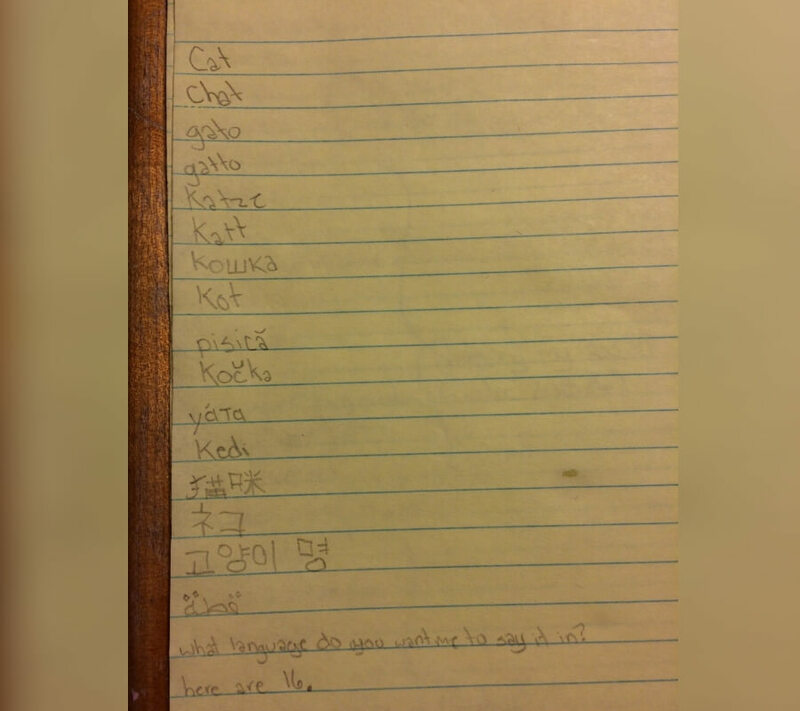 Get her a dog, or else she will translate “no” into 16 languages. That’s dedication to getting what you want for Christmas, and your daughter knows how to use Google translator. 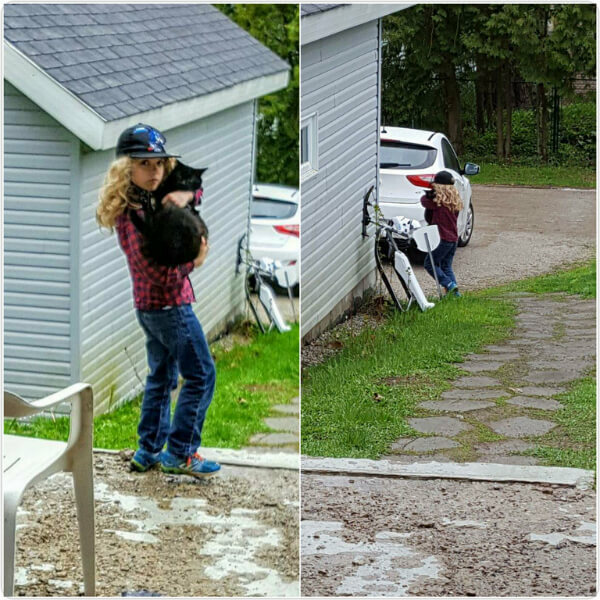 Bless that child for beating the system, get her 16 cats, that would make her happy. Never leave a child unattended. They can accomplish the most expensive damage with the least expensive materials. Their facial expressions say it all because they did something wrong. 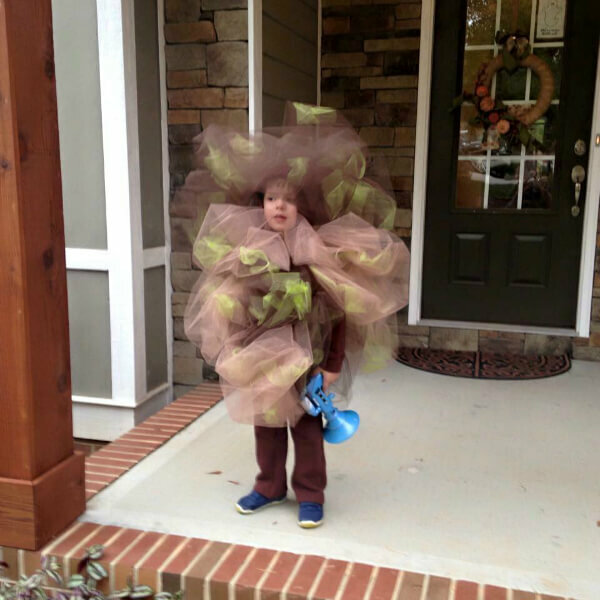 Sure, it must have been fun to pull this off, but your parents shouldn’t spoil this. 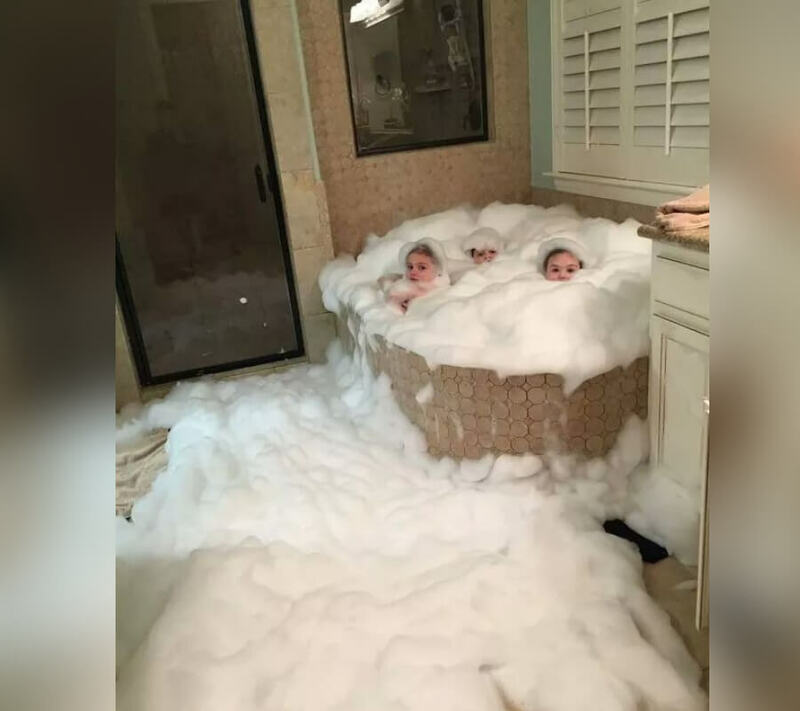 Just help them clean and laugh it off. This is something Wednesday Addams would do. 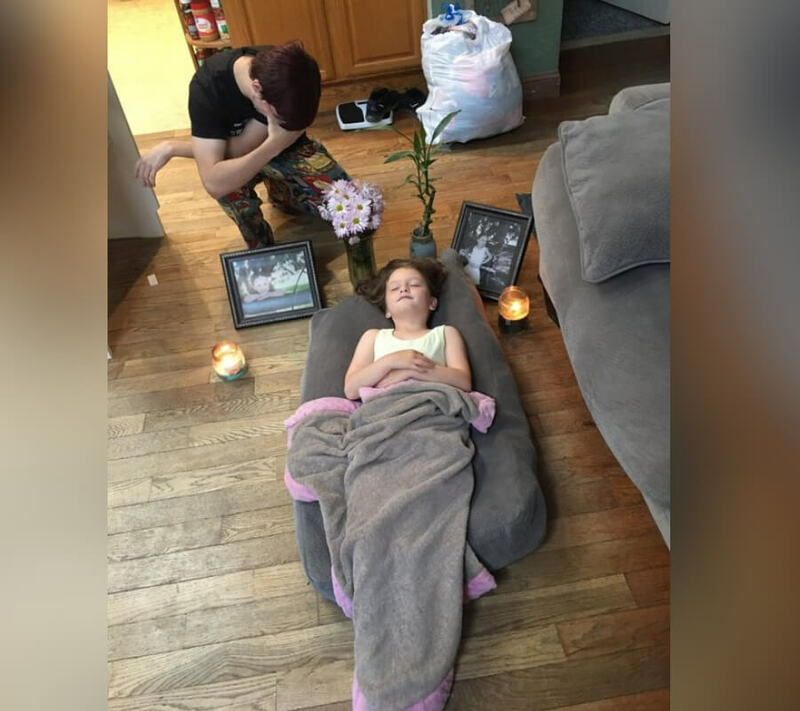 No joke, only she would have a babysitter come over and be pretend to play dead to have a funeral. But, who says you can’t have fun with the babysitter? As a kid, we always did hide and seek before the pizza was delivered.